While patrolling the streets of Fort Kent on at 9:30 p.m. on Labor Day, Officer Connor Lapierre of the Fort Kent Police Department noticed a vehicle with headlights off traveling over the Mill Bridge. 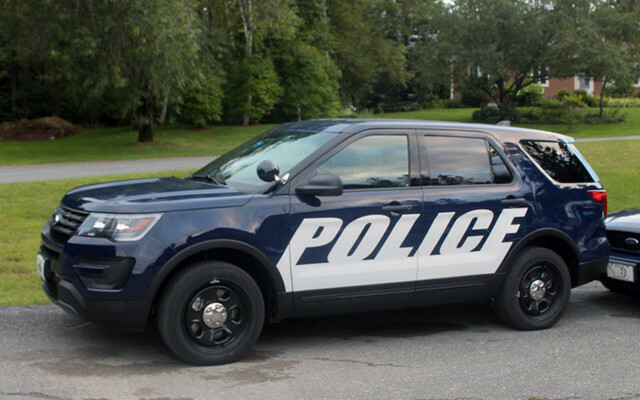 FORT KENT, Maine — While patrolling the streets of Fort Kent on at 9:30 p.m. on Labor Day, Officer Connor Lapierre of the Fort Kent Police Department noticed a vehicle with headlights off traveling over the Mill Bridge. Lapierre stopped the 2003 Honda Accord on South Perley Brook Road and arrested the operator, Matthew Forshey, 21 of Fort Kent on a charge of operating under the influence. Forshey posted bail and will appear Monday, Oct. 1, at Fort Kent District Court.